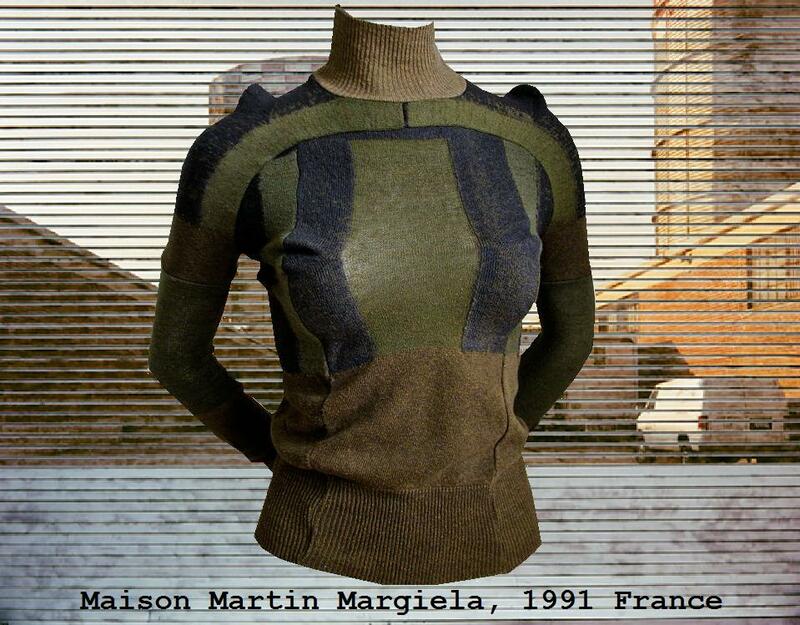 Martin Margiela is known as the master of deconstruction, and it doesn't come more deconstructed than a sweater made out of socks. This design dates back to the early 1990's, and is something of a classic. 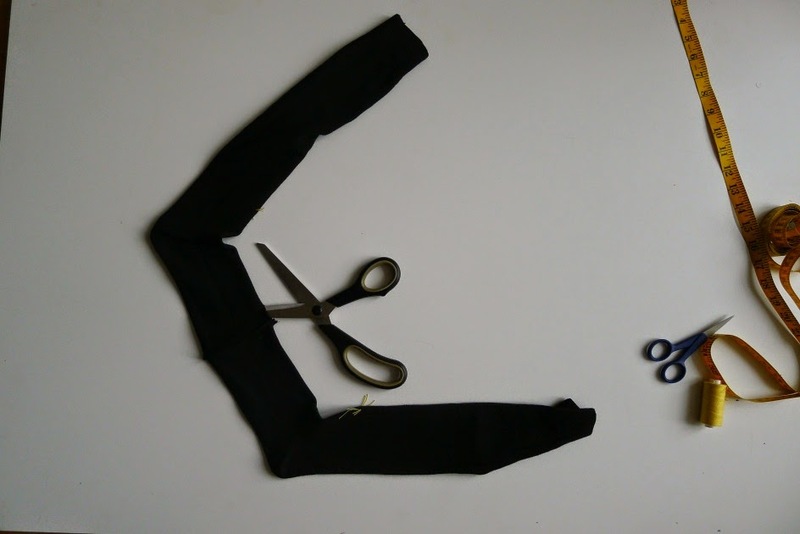 It makes ingenious use of the heels of the socks to shape the jumper at the shoulders, elbows and bust. I've made a few of these and it is one of my favourite quick patterns. 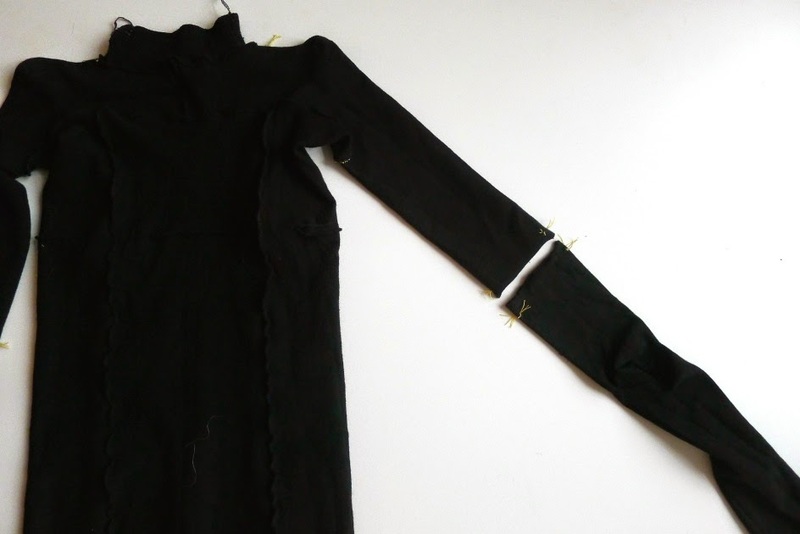 It comes together in an afternoon and it's a good way to develop skills with the overlocker. It's the perfect project for the festive season, combining as it does those two essential ingredients of the fashionable family Christmas, socks and jumpers. Make them as presents for your favourite chic relatives or use up those gifted socks that nobody needed or wanted on Boxing Day. My version uses four pairs of socks and proposes some changes that I think improve the construction and fit, using the the toes of the socks in the side panels as gussets under the arms (a weak point) and rotating the socks a quarter turn in the sleeve to follow the line of the elbow. I found out about this pattern from the lady who was queuing next to me at the MMMxH&M launch on Amsterdam's Dam Square. I'd already seen the original at an exhibition in London, but I had no idea that instructions had been made available online. The superstore's collection featured this design, but we both agreed that since it wasn't made out of actual socks it was a bit pointless. I can't remember her name, but whoever she was I'm indebted to her for introducing me to this pattern. If you're reading this and you happen to remember talking to an English woman in the queue about sock sweaters, I'd love to hear from you. 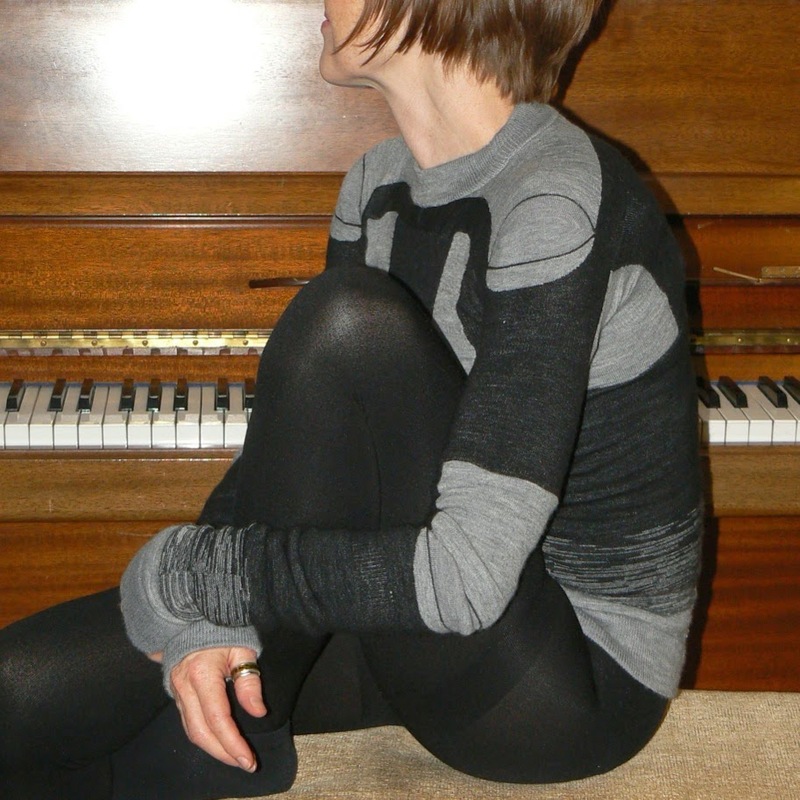 Far from being a novelty item, the sock sweater is great all-round base layer. It's particularly good for winter sports because quality outdoor socks are well insulated with excellent wicking properties. I've long nursed a suspicion that someone in the Hema sock department knows about this pattern, because their lovely wool-mix ski socks always sew up a treat. 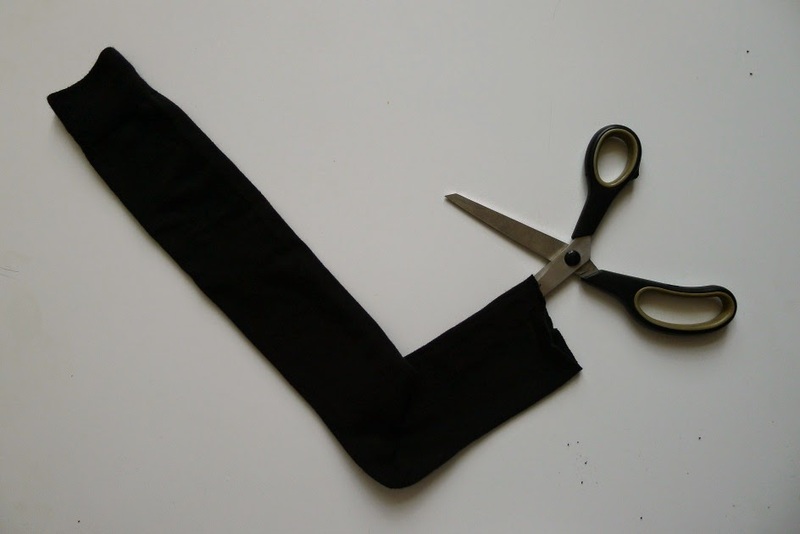 This season I'm making them with regular knee length cotton socks from the men's department. 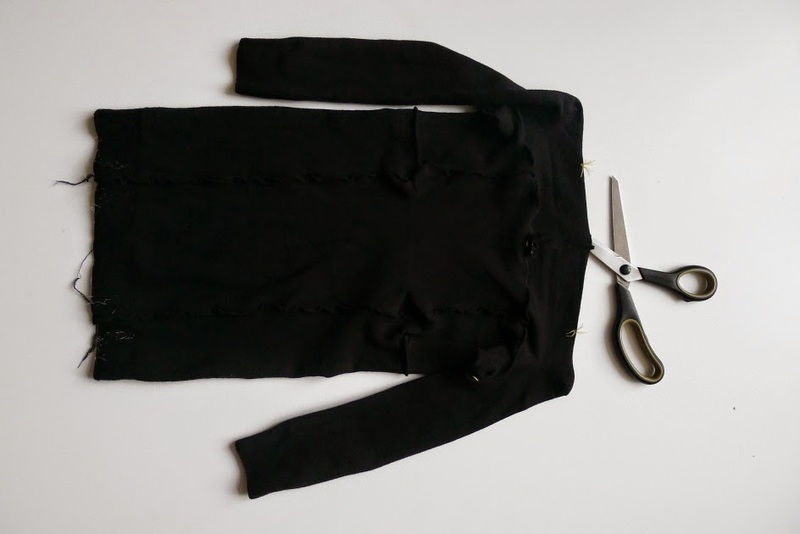 making a supportive lightweight layer for under a short-sleeved dress or button-down shirt. 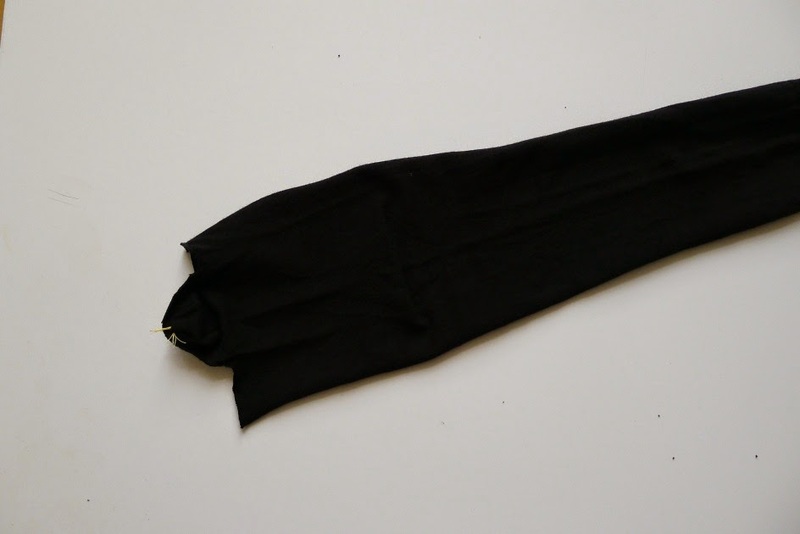 Fits up to a 38" bust, depending on how stretchy your socks are. 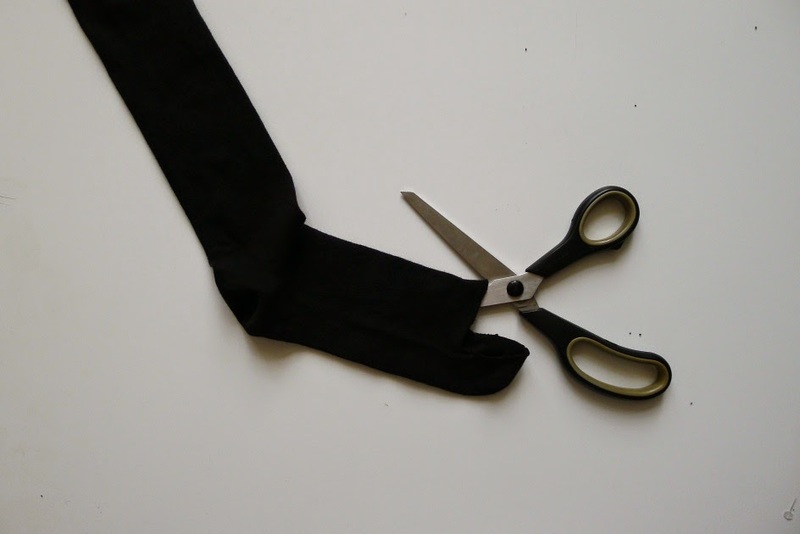 Add more socks for larger sizes and easier fits as required. 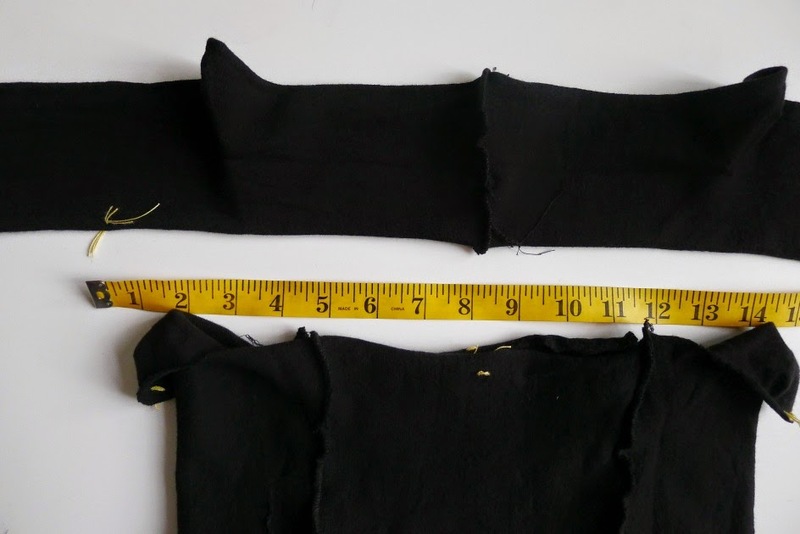 IMPORTANT All seams are sewn with a scant 3mm seam allowance. 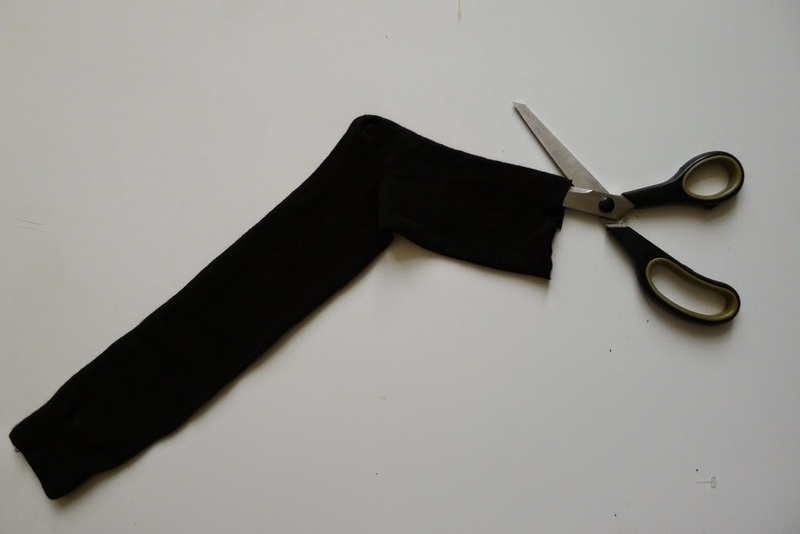 Cut toes off socks for front and back. Cut the front sock open through the heel, so that the turn of the heel forms the shaping in the bust. 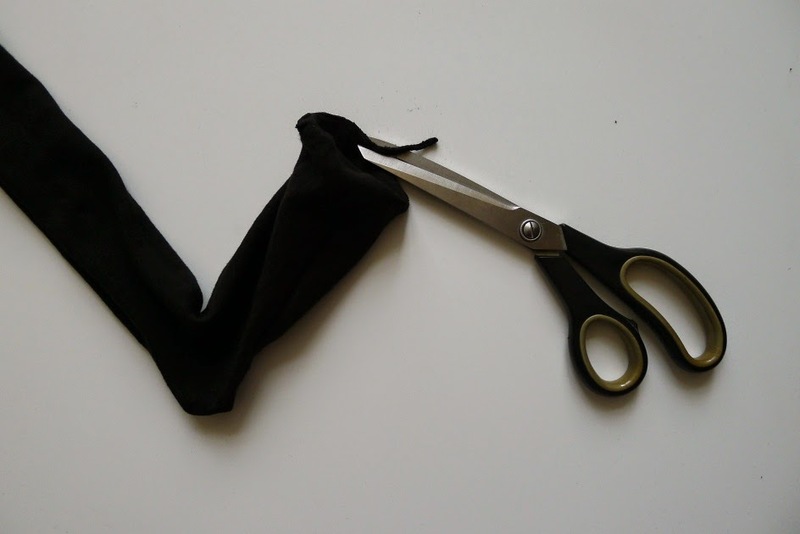 Cut the back sock open along the top of the foot. Trim the seams off the toes, leaving the toes intact. Mark the center of each toe at the fold of the toe gusset. 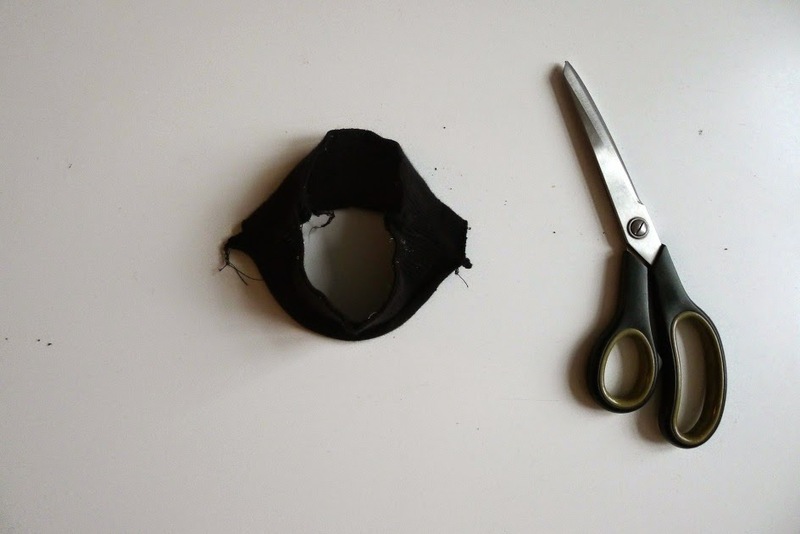 Fold back and side panels in half along the turn of the heel, and sew the heel closed. 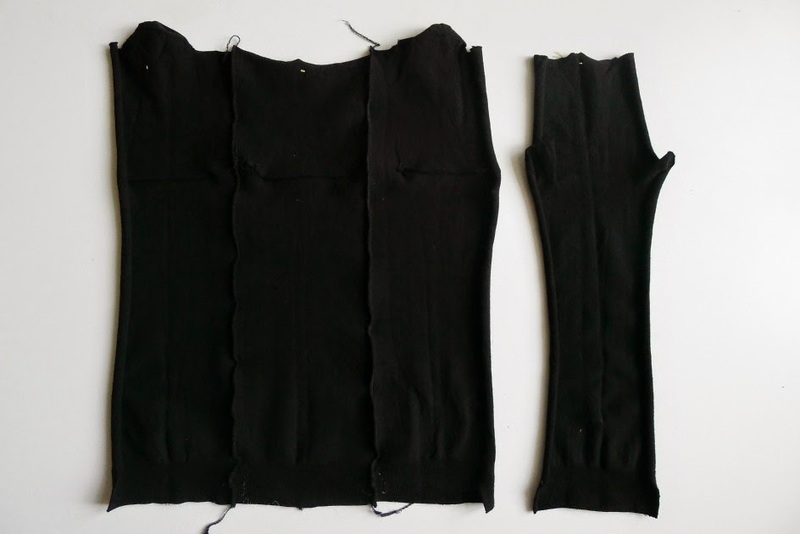 Sew the front to the side panels, stretching at the turn of the heel to ease in fullness. 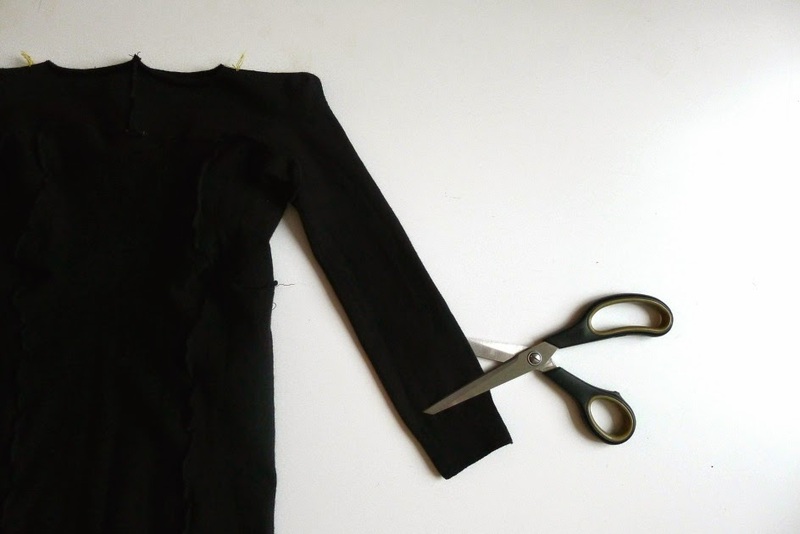 TIP: sew from the hem of the garment to the shoulder so as to make sure hems are even. Cut toes off socks. Turn one sock inside out and insert the other sock, matching at heels. With right sides together, sew socks together at toes. 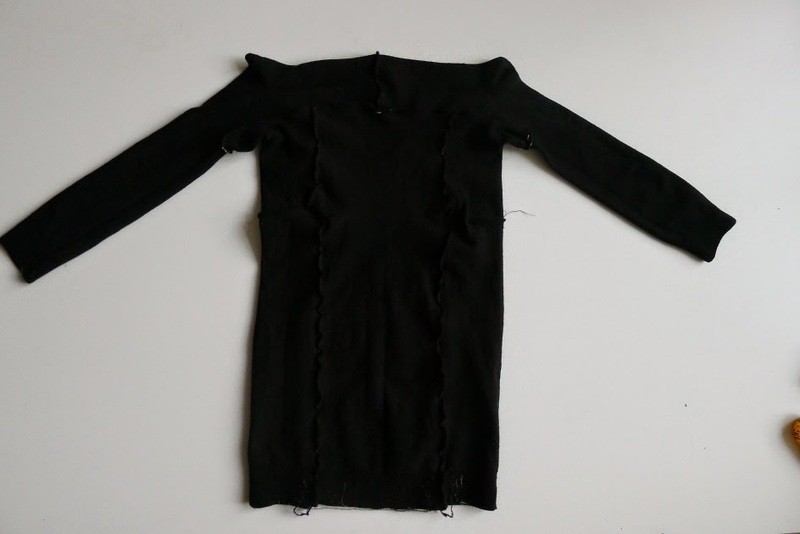 Measure out the width required in shoulder section for the opening the body seam, about 8"/20cm either side. Mark the slash at either end. Slash the shoulder section along the top of the foot for the body seam. 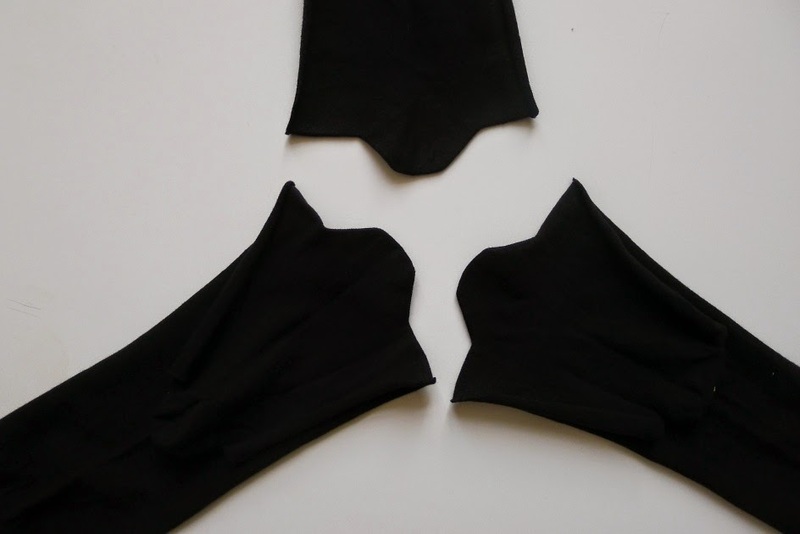 Join the body to the shoulders, matching the markings at front and back to the center seam and to the toe gussets at the underarms. Stitch. Mark your required width for the neck opening. Slash between markings along the center of the soles of the socks for the neck. 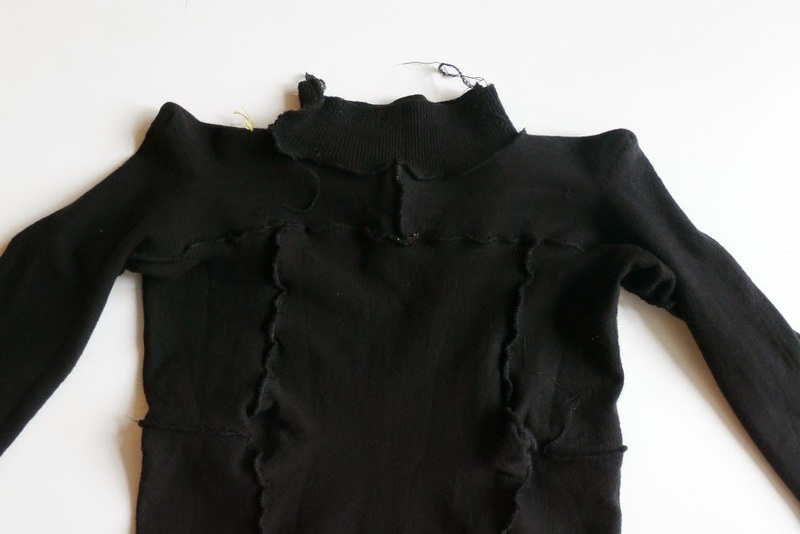 Cut the ribbing off the two shoulder sections. 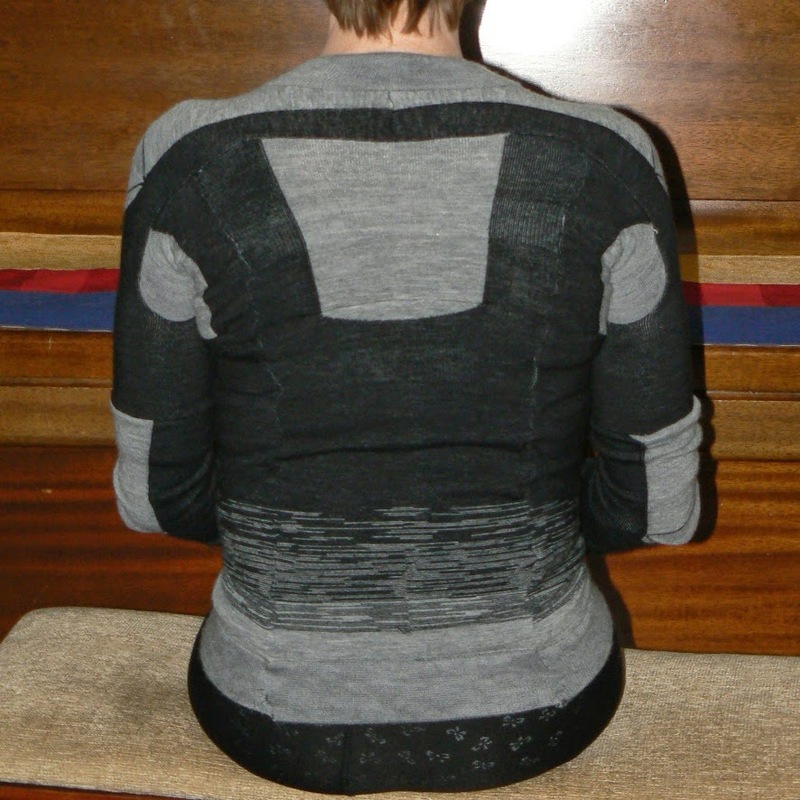 Attach collar to sweater, right sides together, matching collar seams to markings. Mark at each corner of the gusset above toes. Cut toes off. 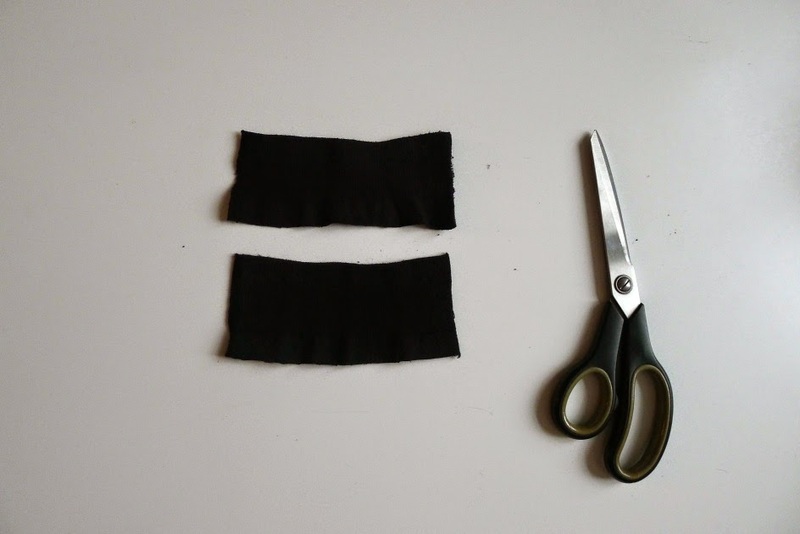 Cut upper sleeves to the desired length and mark upper and lower centre lines. 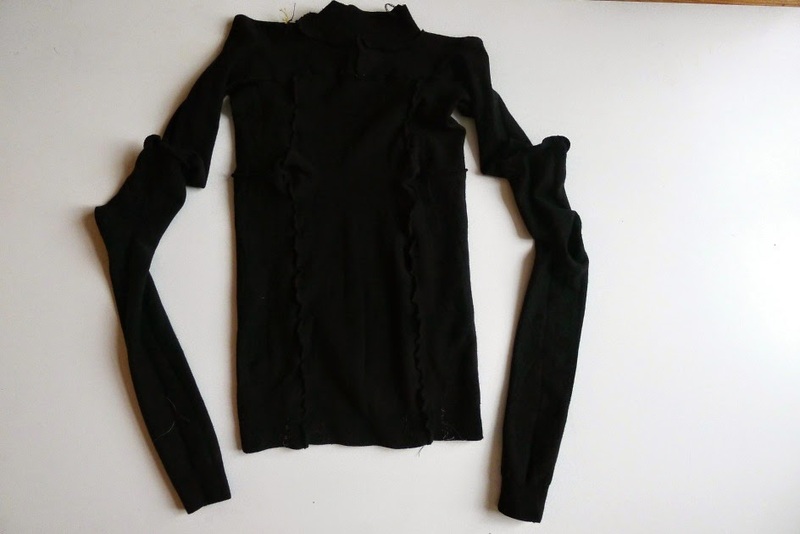 You might want to shorten the sleeves a little here, but I leave them long as I like to keep the ruching effect along the length of the sleeve. 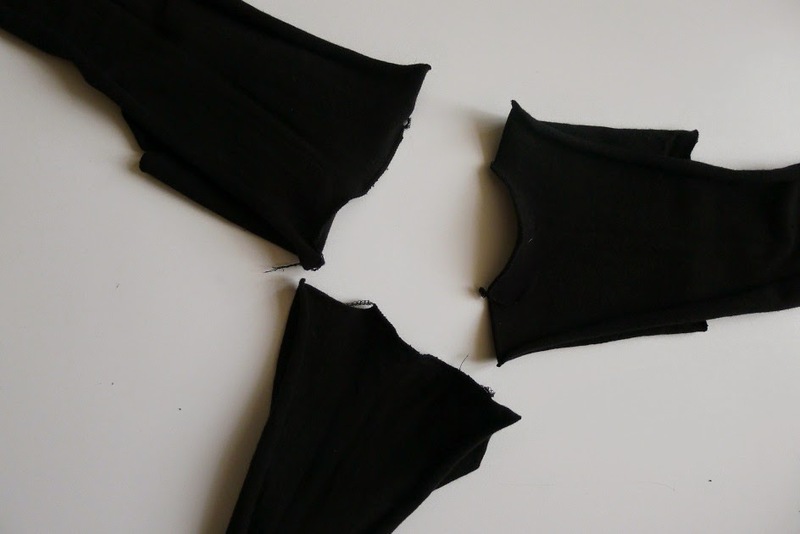 Turn sweater inside out, and insert socks into upper sleeve section, right sides together. 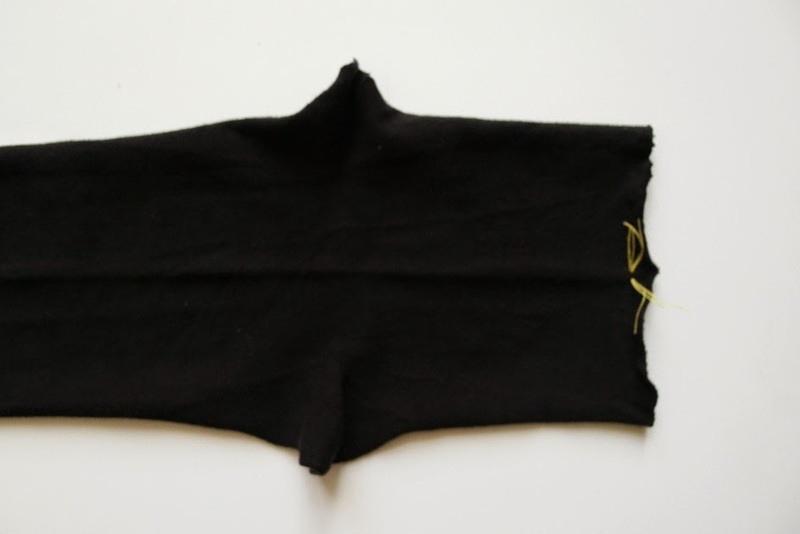 Match markings such that heel of sock aligns with back upper arm, so that elbows face towards back of garment. Stitch. 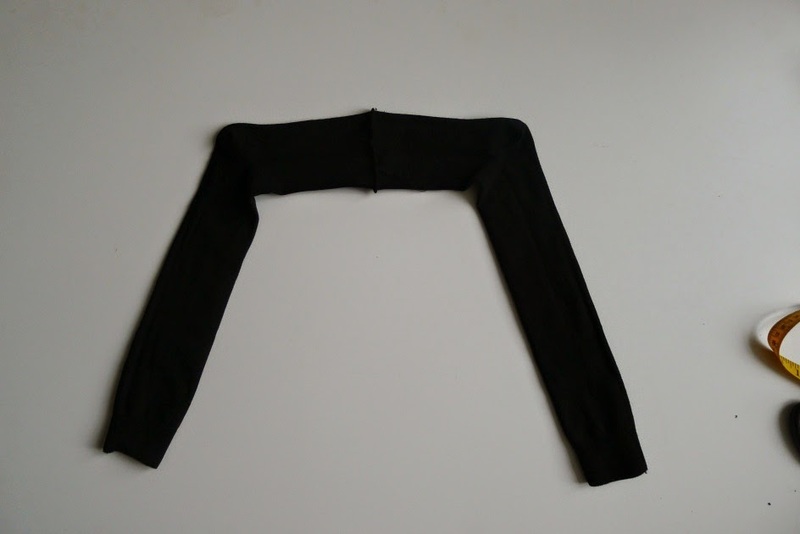 You may find that some shirring elastic escapes the ribbing in the collar and hem. If this happens, don't worry, simply pull it out and discard. It doesn't affect the integrity of the garment and actually improves the fit. And here's the finished article. 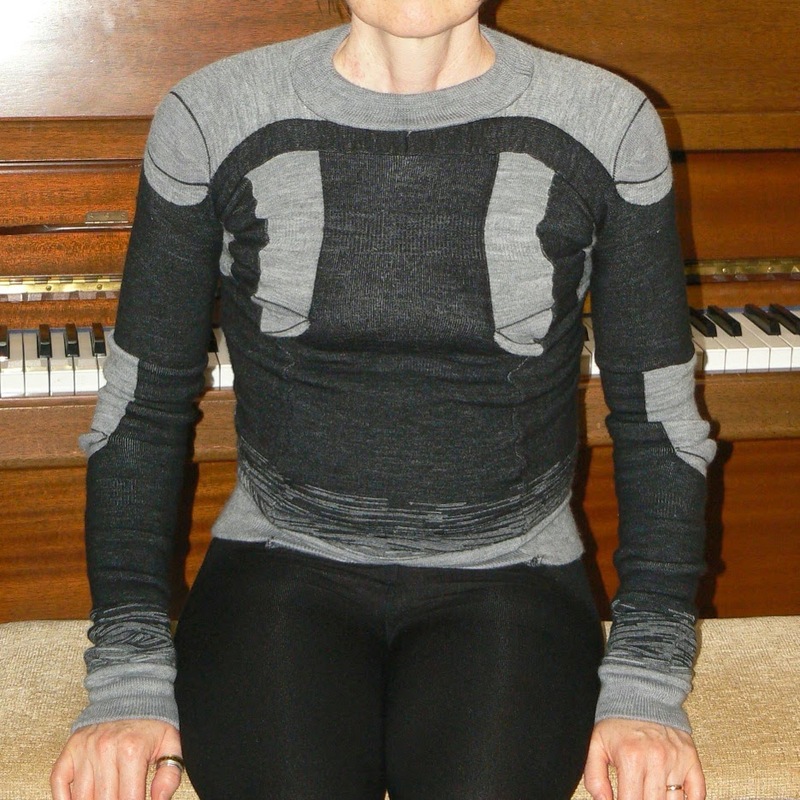 A plain and simple close fitting base layer, ready to wear in just a couple of hours.